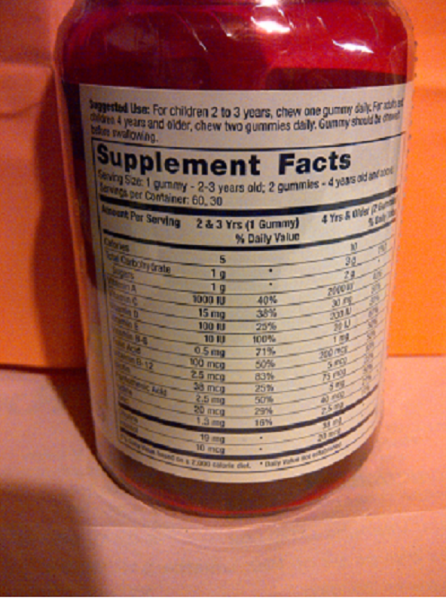 A multiple vitamin combination for children from ages 2 (must be able to chew) to 12. Available Plain, with Iron, or with Minerals. The Mineral product in this size bottle is gummie-style asst natural fruit flavored and does contain some iron along with other minerals. They are "gummie" style and the colors are all from natural plant sources, no artificial dyes of any type.